Sarah MacLean is a sociologist with and extensive experience in conducting research that supports health and welfare policy development. She held an Australian Research Council postdoctoral fellowship (2010-2014). 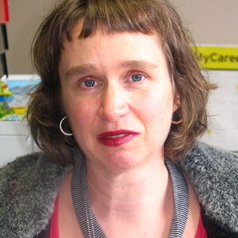 From 2013 to late 2015 Sarah was employed as Senior Research Fellow in Social Health Determinants at Onemda VicHealth Koori Health Unit at the University of Melbourne. As part of this role she collaborated with Mallee District Aboriginal Services on research to identify community needs in relation to methamphetamine use. Sarah is currently employed in the Discipline of Social Work and Social Policy, School of Allied Health, at La Trobe University.